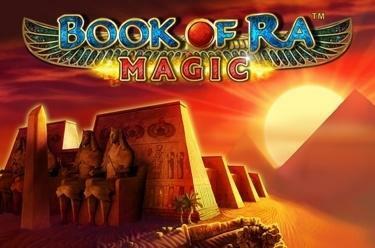 Play Book of Ra™ Magic online for free now! The slot Book of Ra™ has been a cult hit for ages. But there’s even more excitement to be had with this thrilling sequel! Step into the shoes of the inquisitive archaeologist, explore the five reels and up to ten win lines, and locate the long-lost treasure! The Archaeologist symbol will land you the biggest winnings in this game. Line up two or three identical symbols side by side on one of the win lines running from left to right to fill your coffers with Twists. 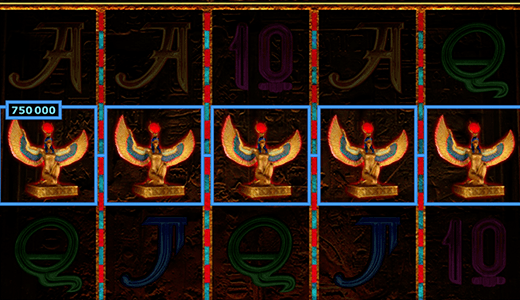 As a Scatter symbol, the Book of Ra can trigger free games if it appears three times or more on the reels. Moreover, if you land enough of them anywhere on the reels, not only will you bag winnings, but they will also substitute for other symbols to complete win lines. You’ll have good reason to smile if you land three Book of Ra symbols, for they will trigger 10 free games! Before they begin, a symbol will be chosen at random. This symbol will be able to expand to cover all three reel positions during the free games if it appears two or three times in a spin. This special symbol also pays in the Free Games no matter where it appears on the reels, therefore increasing your chances of landing more Twists! With a little luck in the free games, you can win even more free games, in which up to nine expanding symbols are possible. Step into the shoes of a fearless archaeologist, break the curse of the pharaohs, and venture into the dark passageways deep in the pyramid – right now, in Book of Ra™ Magic! The sequel to the hit slot Book of Ra™ takes gaming to the next level thanks to its thrilling free games with up to nine expanding special symbols!